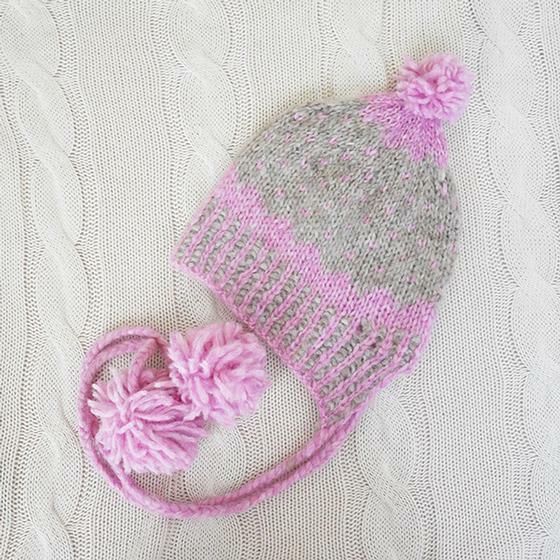 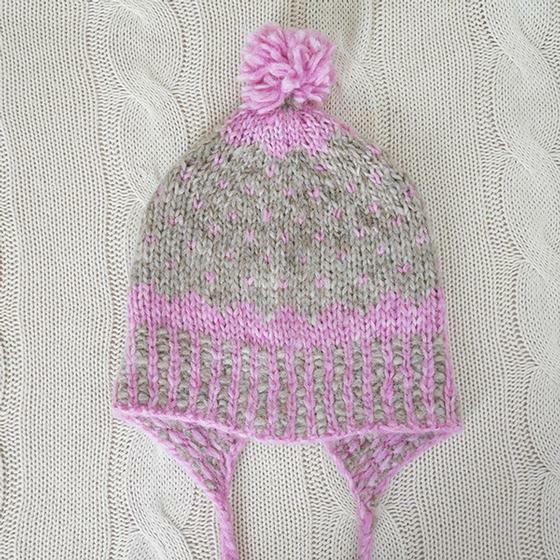 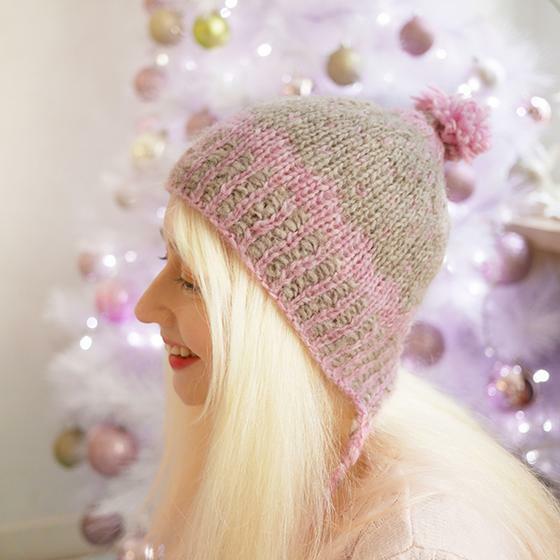 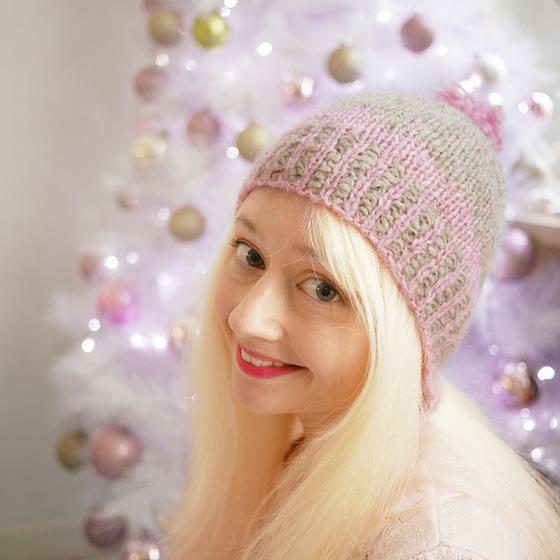 Scallop Pixie is a simple hat pattern with earflaps featuring a 2 color rib as well as scalloped and spot color work. 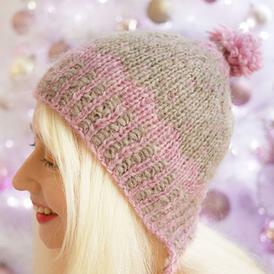 The tapered shape is created by starting the work flat then joining in the round with short rows at the back. 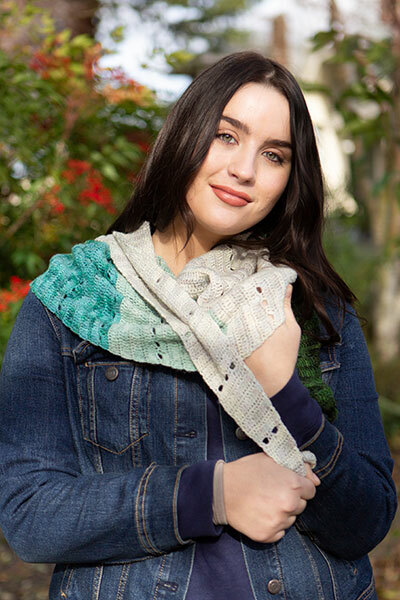 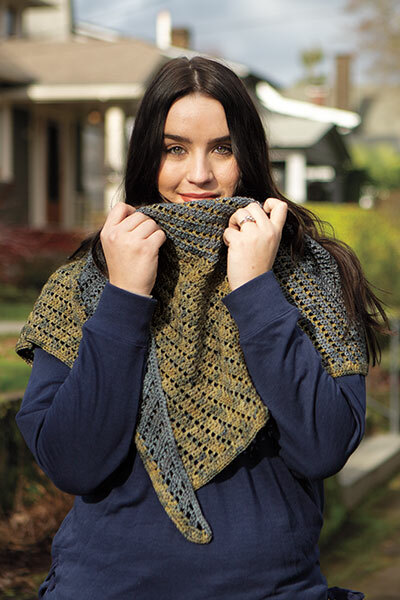 With an easy to memorize stitch repeat, this fun, fashionable and very quick knit is great for last minute gifts.